$12.00 In stock. Order in the next 8 hours, 4 minutes and it will go out today! 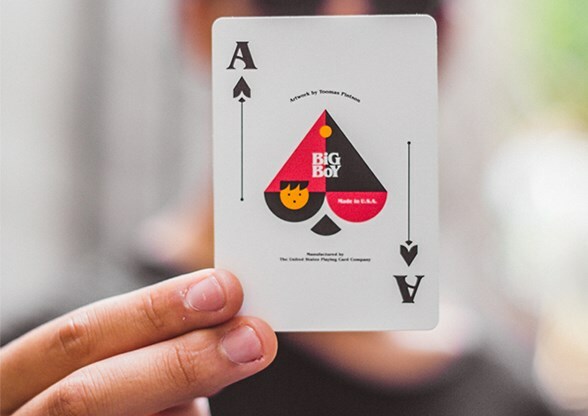 The court cards feature 13 fun and unique Big Boy characters composed of only primitive shapes. 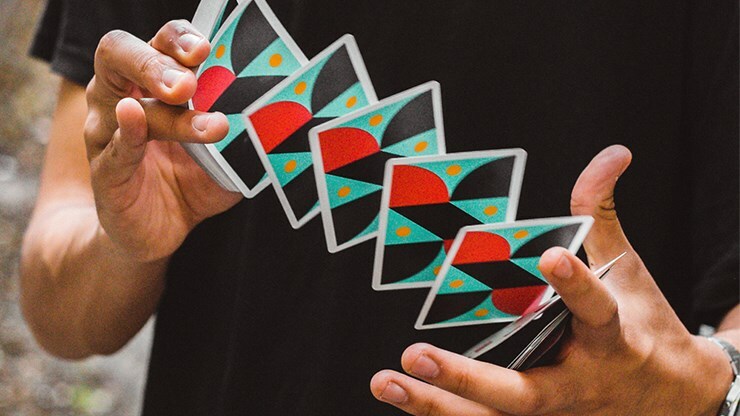 Although it's a fully custom deck, it was also designed with cardists in mind. 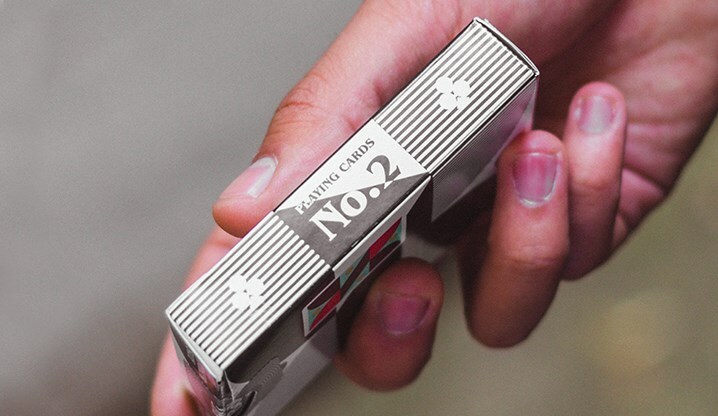 The back design features a unique twin­tip design, making this deck perfect for fans and spreads. 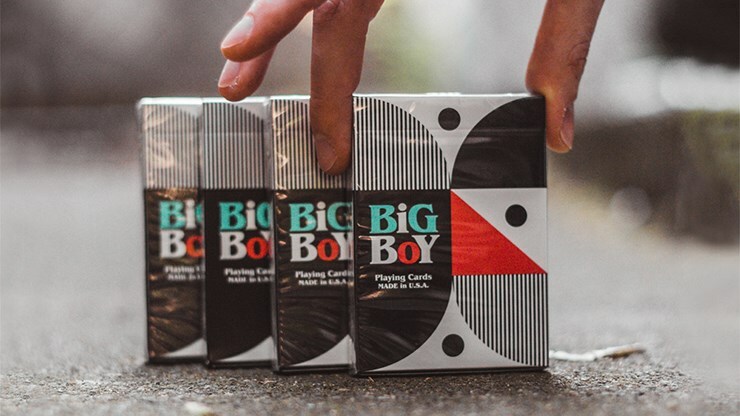 I have the original Big Boy deck, and this makes a great follow-up. Even the tuck boxes look somewhat similar, and are great companions. 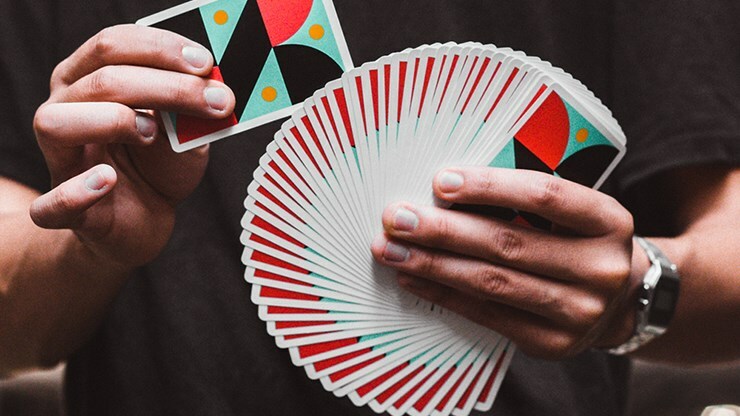 The card backs are nice for cardistry, and even though they are bordered, fans in opposite directions create a very different look. But perhaps my favourite part of this deck are the court cards, which have a cartoon-like look, making it a very light-hearted novelty deck. The split-pip design also makes the deck look very original. 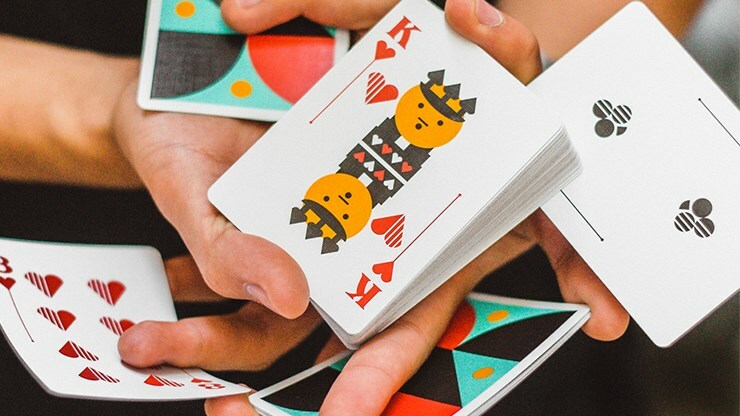 The pips are recognizable enough you could even use it as a fun deck for card games, but I especially enjoy this as a cardist.